Ken Ludwig’s “Baskerville: A Sherlock Holmes Mystery” was not what I expected - and I mean that in the best way possible. Directed by Scott Nolte, the show was superbly acted and incredibly funny. Yes, funny. 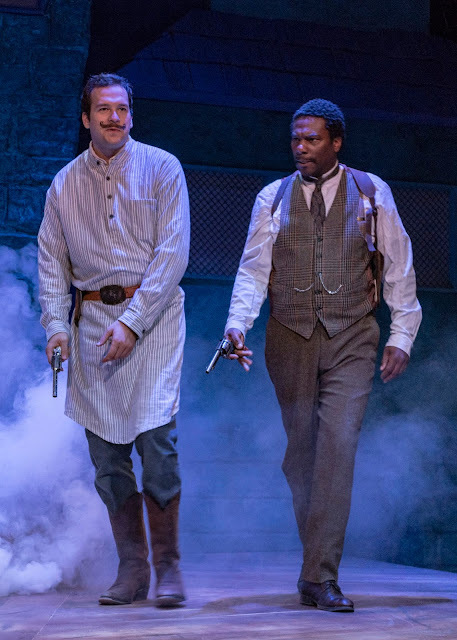 Michael Patten as Sherlock Holmes and Reginald Andre’ Jackson as Doctor Watson were the main characters. However, the other three performers - Nick Watson, Elizabeth Keck, and Eric Hampton played the other thirty plus roles during the show. The show played up to the fact that three actors were portraying so many different roles - with absolutely hilarious results. 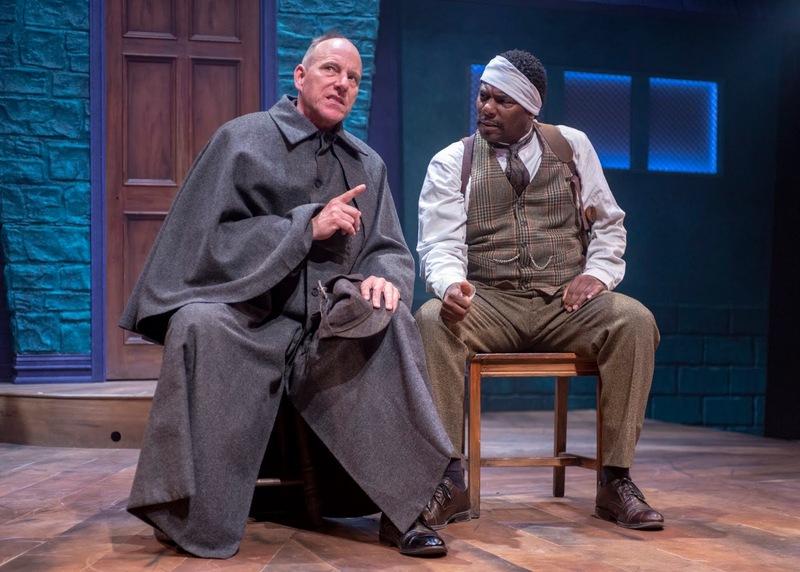 Michael Patten as Sherlock Holmes was spot on - extremely believable in the role with perfect comedic timing. Reginald Andre’ Jackson as Doctor Watson also performed well with the right mix of dramatic turn and physical comedy. Many in attendance at the packed opening night were howling with delight as the story unfolded. 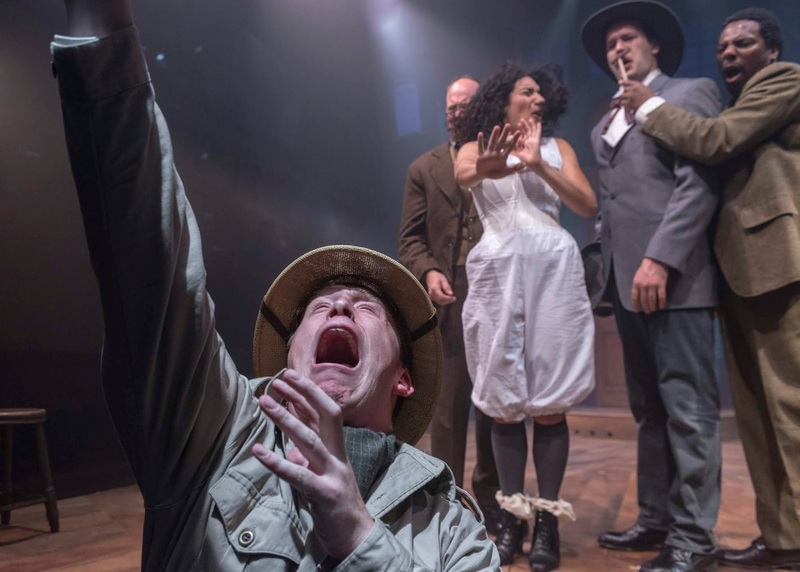 The five actors had worked out their timing well and it had to be so considering the numerous changes that took place during the performance. Nick Watson, Elizabeth Keck, and Eric Hampton must of had a ball portraying so many different roles. As actors they got to change accents, gender, and costumes, among other things. As the story progressed I literally laughed out loud. There were some in attendance who’s sense of humor may not be a good match for this show but overall I believe most had a great time. If you’re expecting a serious, dramatic, “who done it’ - don’t. 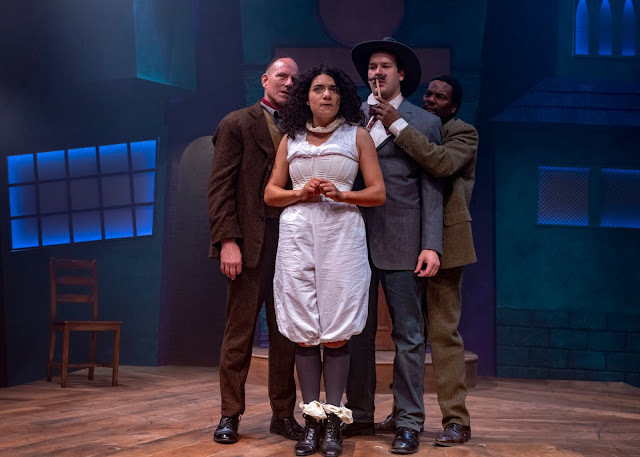 “Baskerville: A Sherlock Holmes Mystery” weaves a great tale while incorporating 4th wall humor from beginning to end. I enjoyed it so much I want to see it again! The show runs through October 20th with great seats still available. Do not miss out! 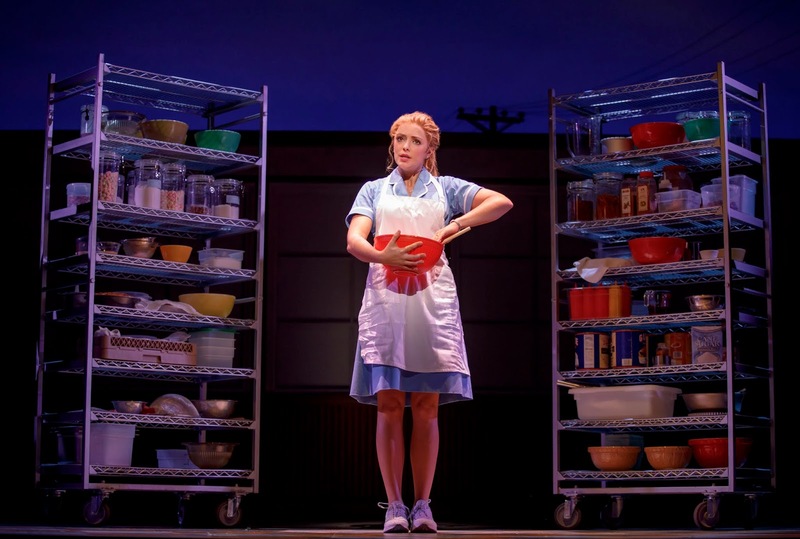 “Waitress” opened up this week in Seattle as a part of the Broadway at The Paramount series of musical theatre shows. With music and lyrics by Sara Bareilles and a book by Jessie Nelson, “Waitress” is based on the 2007 film by the late Adrienne Shelly. 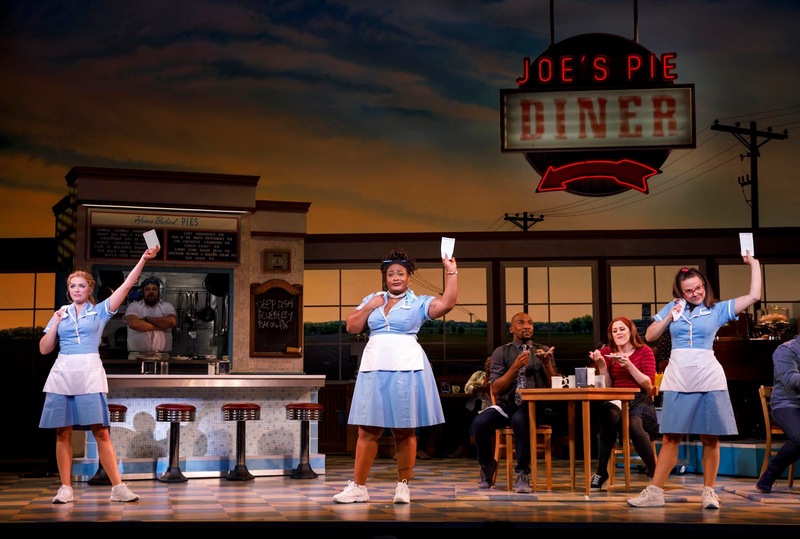 Based in the deep south, “Waitress” depicts the central character Jenna Hunterson (played by Desi Oakley), a waitress who makes competition worthy pies with names that reflect her current daily situations. Married to an abusive husband Earl, Jenna discovers she’s pregnant and dreams of a way out of her misery. 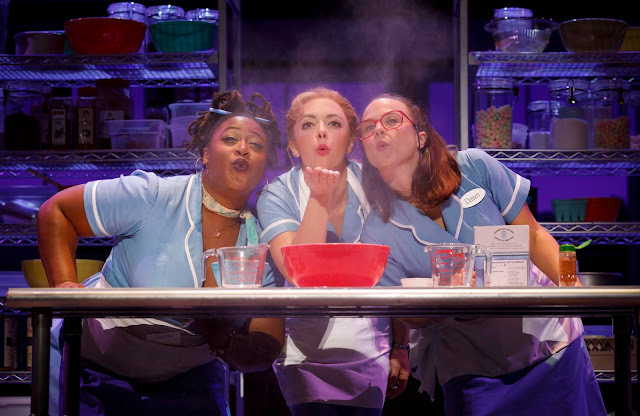 Co-workers Dawn (Lenne Klingaman) and Becky (Charity Angel Dawson) support each other as they each try to improve their stations in life at the diner and beyond. Enter Dr. Jim Pomatter (Bryan Fenkart) as the love interest for Jenna which creates the dramatic situations throughout the musical. There’s plenty of laughter during the musical with the dramatic elements short but very to the point. Desi Oakley was a revelation as Jenna. Her acting truly pulled the audience into her world of despair and longing for something better. The audience wanted her to leave Earl, wanted her to enter that pie competition (and win), and start her life anew. Her vocals were emotional, captivating, and just a joy to witness. Her time with the touring production (basically a year since rehearsals started) has been well spent and the audiences around the U.S. have been the lucky recipients of such an amazing talent. She will be missed as she exits the show at the end of September. Charity and Lenne played their characters with such ease and professionalism, the three ladies really worked well together. Their timing, acting, and singing were as flawless as they come. Brad had tremendous timing with the physical humor as did the rest of the cast. 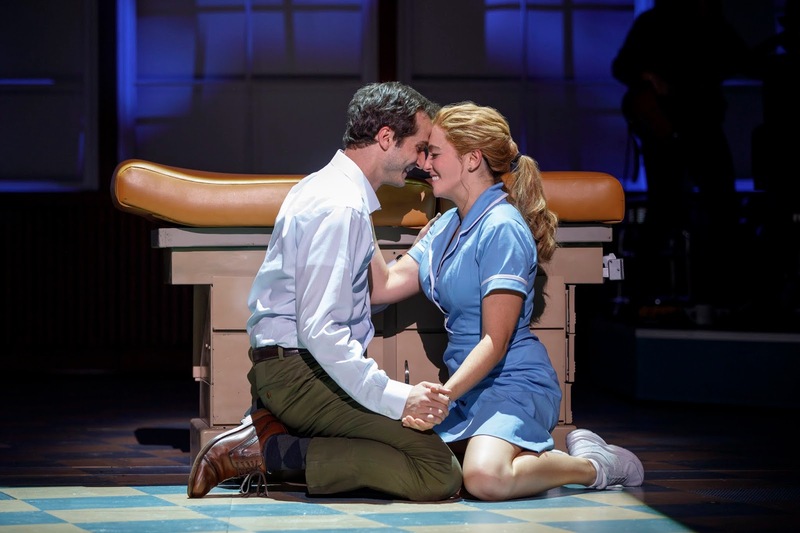 “Waitress” was an uplifting musical with many light moments to overshadow the dark (the abusive marriage). “Waitress” of course has a wonderful ensemble and a band that was on the stage instead of in the orchestra pit. Even though the production had been on break before starting up again in Seattle, one couldn’t tell at all. The chemistry and timing amongst the cast was some of the best I’ve seen in a long, long time. “Waitress” was a wonderful experience that you’ll regret if you don’t go to a performance! The show runs through Sunday September 16th with great seats still available. Do not miss out!